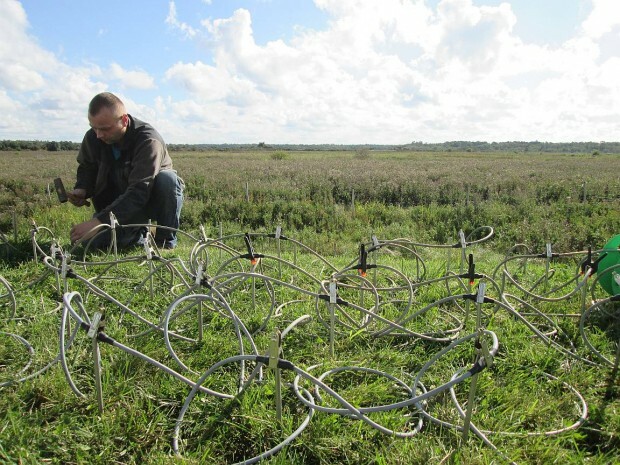 In the week of 1 to 5 September 2014 Dr. Zielinski from Gdansk, who has been working at the Strathclyde University in Glasgow until recently and being a well-known specialist for geophysical methods to detect cracks in embankments, is performing 3D electical resistivity tomography (ERT) measurements on the German DredgDikes research dike. With this method existing cracks in the cover layer as well as the moisture distribution in the whole dike cross-section is made visible in three dimensions. A selection of images shows the actual measurements. The results will be presented on this website as soon as the data will be evaluated. 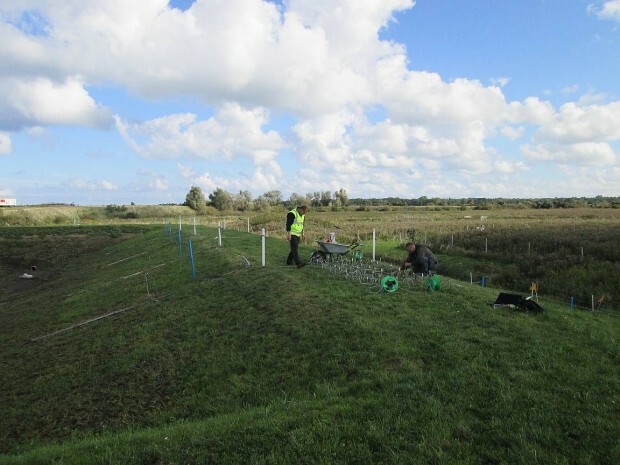 The DredgDikes project would like to thank Dr. Zielinski for his voluntary research work on the research dike.